Kateri’s Thrift Store specializes in nice clothing at great prices. Kateri’s Thrift Store also offers household goods, books, toys, linens, and so much more. Kateri’s has a good selection of clothes for men and women, as well as boys and girls. Clothes include outerwear like coats and jackets, in addition to shirts, pants, sweaters, and more. 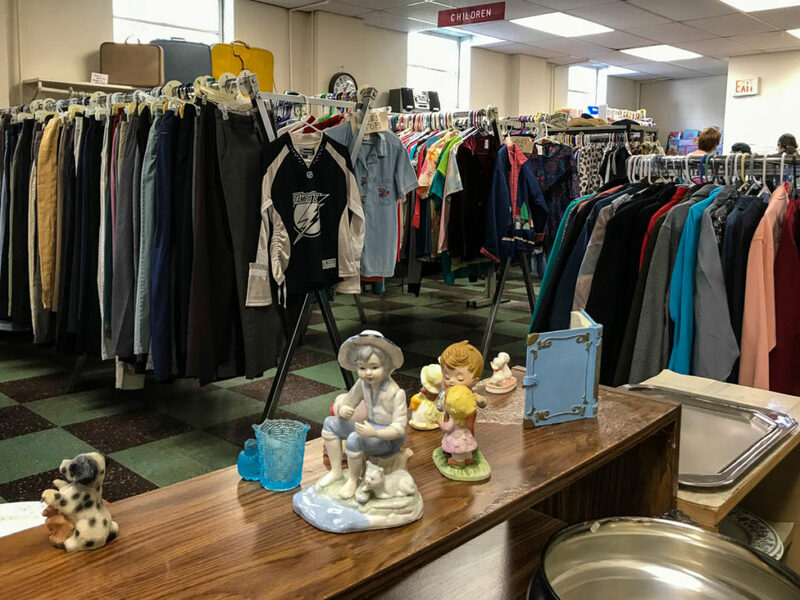 Kateri’s Thrift Store provides quality used clothing and household items to families and individuals, regardless of income or geographic location. If you have items to donate, just stop by during regular business hours and drop off your donations. Donations are very much appreciated as they will find good homes. Have questions? Be sure to talk with one of the friendly staff members. The Little Falls Food Pantry is open to Little Falls area residents who are eligible. There is no charge for food. The Pantry accepts food donations along with monetary donations. Have a few gently used items? Donate them to Kateri. The staff at Kateri are focused on serving the community by offering donated items for very reasonable prices. Prima Donna’s Boutique now offering rewards cards!